Very pretty, I really love the reflections and especially the contrast of that one lone blue light. Long exposures and HDR can look beautiful when done well. Glad you liked it. Funny thing . . it was an exceptional cold night and probably looked like a crazy man with a tripod taking photos and shivering. Wow, what a great photo! 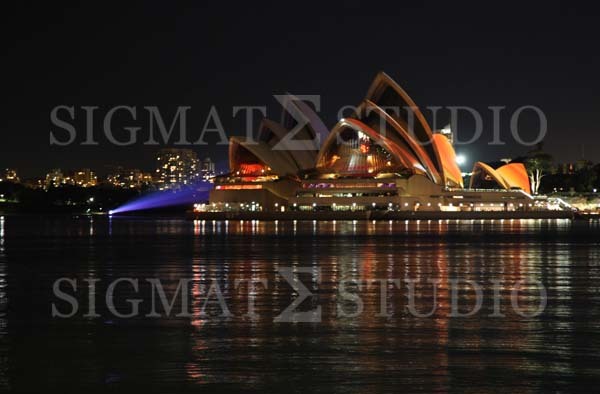 Really captures the Opera House wonderfully… but your watermark is a bit distracting! How long did you expose this photo for? Long exposures at night look fantastic! Sorry about the watermark. Guess I’m a little protective over the photos. If I remember correctly it was a 20 second exposure.